Every species on this planet requires a safe haven to survive and propel in a healthy manner. It is often said that a habitat which mimics where it actually belongs is best for any pet species and leopard gecko habitats attempt to recreate where these beautiful creatures naturally live. When it comes to reptiles, imitating their natural habitat can be a tedious task. The leopard gecko is prominently a desert species which could be traced in the Asian continent. Heat and light are essential for their normal functioning as reptiles since they are cold-blooded creatures. Apart from that, it is also important to know they feed mainly on a diet of crickets, super worms, and wax worms. While these cute little geckos are among the easiest reptiles to care for, you cannot go easy on setting up the best leopard gecko habitat you can create. The habitat of your gecko plays an important role in maintaining the health and well-being of your pet. 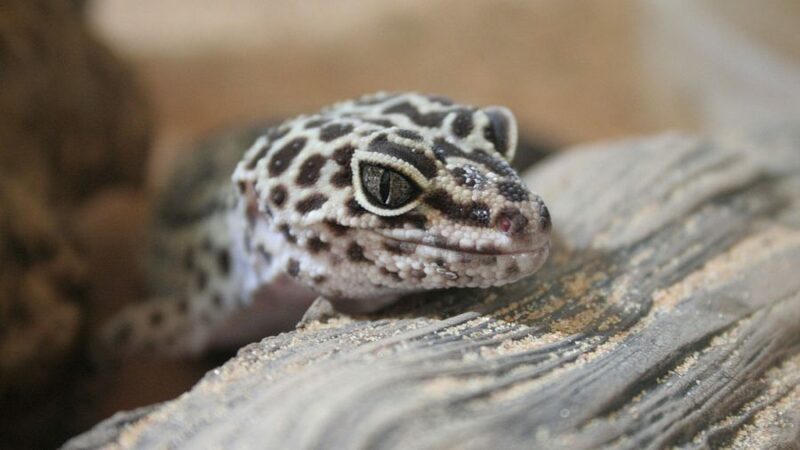 Like all pets, especially our reptilian friends, leopard geckos are affected by their habitat and any alteration could lead to drastic changes in their well-being. Leopard geckos are not like your usual lizards, these are terrestrial lizards. They spend most of their time on the ground rather than clinging to the wall or a tree. When choosing a tank for your gecko, keep this in mind and ensure that the tank has plenty of horizontal space. Geckos prefer to stay on the ground unlike their chameleon cousins and hence they require more ground space to move around. They do not require any tree branches for their vivarium as they are unable to climb them. Apart from that, the tank shall be well ventilated which allow passage of air throughout. The size of the tank shall vary from 10 to 15 gallons with an additional 5 gallons for every gecko you add. Leopard geckos are nocturnal and they refrain from any activity in the presence of light. Most of their movements are noticed at the night time so there is no need for a robust source of UV for your lizard. Like humans, Leo requires vitamin in minimal amounts which can be fulfilled with a weak source of UV as high UV devices could cause skin burns. Alternatively, vitamin supplements are also available in the market to satiate the needs of your pet. Leopard geckos are cold-blooded animals and they require the different temperature to maintain their body temperature throughout. Several heating pads are available for spot heating in the vivarium. This gives your reptile enough convenience to maintain its body temperature by alternating betting the cold and warm spots inside the vivarium. Overheating should be avoided as this can make your pet sick. The ideal humidity for your pet is around 40 to 60 percent. Leos are natural inhabitants of the desert and do have any special needs for humidity. The required humidity levels could easily be achieved with a reptile fogger. the reptile humidity gauge is also available which serves as a better alternative than the humidity foggers. 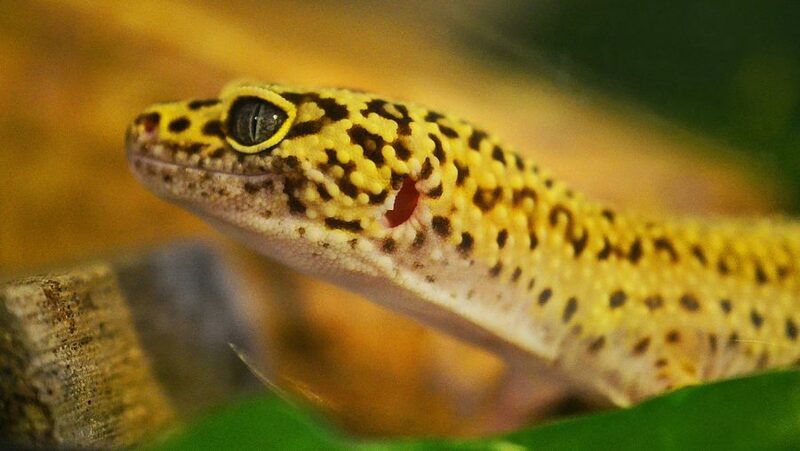 Leopard geckos are conscience animals and they express certain emotions. A wide range of furniture is available in the market for your leopard geckos like water bowl, rocks (to hide) and diet feeder. This furniture motivates the reptile to move, crawl and climb which maintains the appropriate level of excitement in your pet. This creates a stimulating and exciting effect for your pet which serves its well-being. 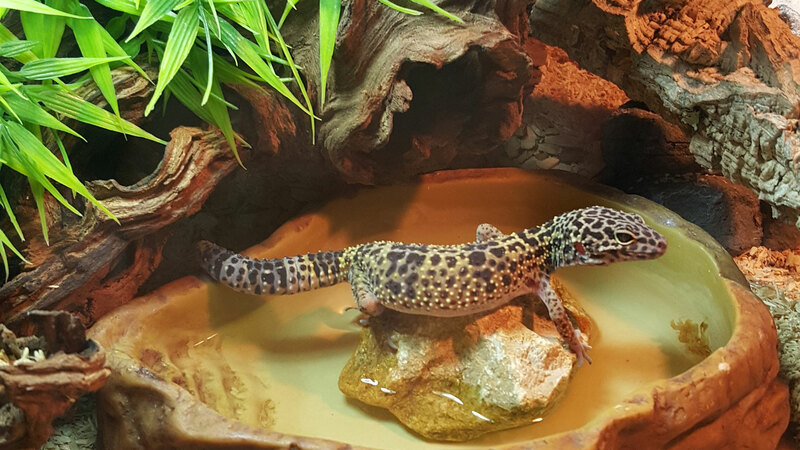 Avoid using homemade water bowls for your reptile as the sharp edges might harm your Leo. There are different kinds of substrate available for your leopard geckos like towels, slate, and carpets. Carpets are the most comforting for your reptile, but it gets really hard to clean them as your Leo would shed its skin and drop remains of the food for gecko – which would make it less hygienic. Paper and towels are more feasible as the used ones could be discarded easily and replaced by new ones. It is highly suggested to not use sand as a form of the substrate because it could block your Leos digestive tract as the grain of sand could get into the gut of your lizard. This could prove more harmful than beneficial for your little Leo. 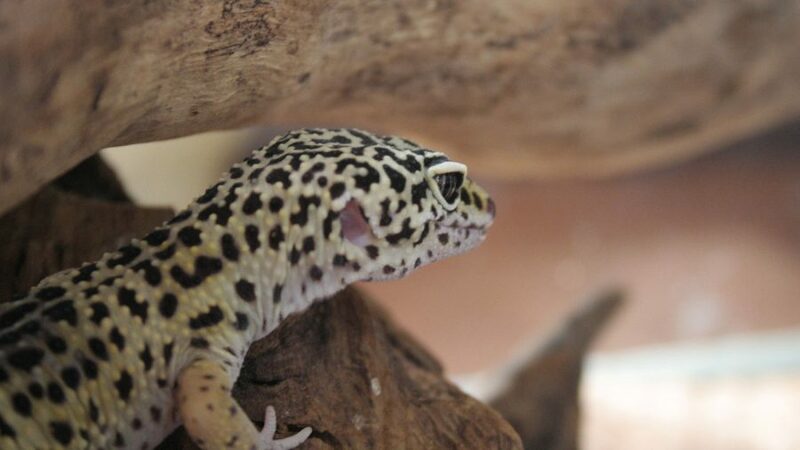 Maintaining the habitat for your leopard gecko is an important step towards ensuring the well-being of your pet. 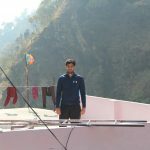 Daily cleaning of water and feces are imperative to avoid any infections. Weekly cleaning should include sanitizing the hiding areas and a monthly cleaning of the entire tank keeps your leopard gecko habitat healthy and your gecko happy. If you ask me, Leopard Geckos are among the most popular and wonderful pets. They require consistency in their habitat, but their nocturnal behavior and vivid personality make them one of the most favored pets of the modern day.